Ibrox Noise: Has Steven Gerrard discovered the winning combination? Has Steven Gerrard discovered the winning combination? If Mark Allen and Steven Gerrard sign very experienced pros and augment them with some young quality signings, we could very well have a successful season next year. Their jobs are to turn an underperforming and poor Rangers squad into winners! They have started out early with the signing of the versatile 29-year-old Scott Arfield who has PL experience with Burnley and plays in many variable positions. He also has an eye for goal and has a 4-year-contract-deal already agreed with the light blues, and no transfer fee involved. Allen is looking at the characteristics each signing possesses and the type of club they play for. Mark knows that hard work comes before anything and is the trait he is looking for, but it must come with enough playing ability, experience and great character. When we got the opportunity to sign Arfield we took it. Welcome home to the best goalie we have had in years, our own 6’ 2” Allan McGregor. The highly-experienced shot stopper left Rangers as a free agent to join Turkish club, Besiktas in 2012, having made 250 appearances for the club. After a successful season in Turkey, he joined Hull in 2013 and made 147 appearances for the Tigers, as well as 19 outings for Cardiff City during a short loan spell. He has amassed 38-Scotland-caps and is another top quality player signed on a free transfer, making this is a great piece of business for the club. He was Hull City’s Player of the Year and will save us loads of points next season with his usual array of great saves. He has PL and English Championship experience and will help our back 3 or 4 formation to become more efficiently organised. Having secured two proven performers already is a serious statement of intent with the prospect of more to come. Both have delivered in the Premier League and also know the Scottish game inside out. The highest level of players you can attract to the club the more chance you have of getting them to perform at their best in front of our massive home crowds, where they are focused to win the games. Landing four or more new players during May will be sensational recruitment by Mark Allen, as they have several offers on the table for some very imaginative signings. We need to acquire harder and better competitors who can handle the pressure of playing at our famous stadium and return it to the fortress it once was. We require these players to perform to the highest standards in every position, to turn Rangers into a team that are hard to beat and to return the club to its former glory. This appears to be the key criteria after years of abysmal recruitment organised by Ally McCoist, Mark Warburton, technically Frank McParland and Pedro Caixinha, none of whom achieved any substantial success in signing players. Mark Allen secured a few smart deals in January and he appears to know how to operate on a very modest, shoestring budget. 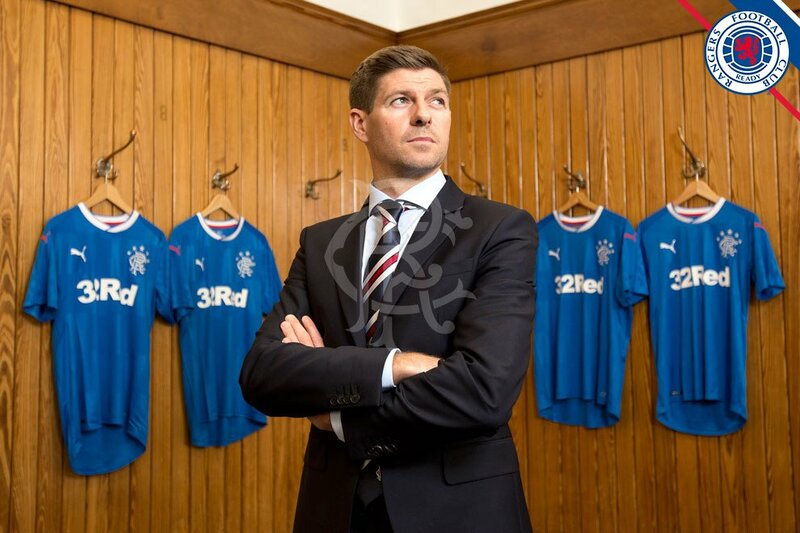 Rangers’ hope is that the combination of Allen, Scoulding, McAllister and of course Stevie Gerrard will provide a solid base for top class, morale boosting transfers this summer succeeding where their predecessors so spectacularly failed. As long as we have a conveyor belt of at least two young, sellable assets who we buy cheap and sell big each summer then I don't mind us going for players in their prime with minimal resale. I tell you this if we are going turn them over,then we need big players but we do not need huge wages that come with most,i hate to think we are going buy 34/35/36 plus year olds on huge money and what happens if we win nothing and get turned over by them how long can we keep that going,i would like ti win win win right away but i do not want to go bust trying time is still on our side and we must use it. Last year everyone got excited by Alves, Dorrans etc, etc. It didn't work out. There is no guarantee that it will this year either. Too many false dawns, so I will bide my time.